A terrific book that was about 200 pages too long. Initially, I was turned off by Night Film because of the pages of newspaper clippings and websites early in the book; I don't like the technique. I prefer the newspaper or website text be offset and just "be there" for reading instead of having to look like it was torn from a newspaper or screenshot from a website. However, given that I was reading this on a Kindle Paperwhite and had to enlarge each of the pages, I decided the fault was half mine. It probably wouldn't have been so cumbersome if I'd been reading a hard copy, so I let this slide in my evaluation. Night Film is basically a mystery thriller with hinting elements of the supernatural. It's good guys vs. bad guys; naturally, the good guys are...well...good. The bad guys run the gamut from just a little bad to downright despicable. Characterizations are great--very full, detailed, with backstories that enrich the characters and their motives EXCEPT when they're not supposed to. One character in particular, the #1 bad dude, is described, discussed, and painted as well as any character in the book, but you never really get a handle on him which, I think, is exactly what the author was shooting for. The plot, while intriguing, tends to meander--so much so that sometimes it's not clear what the precise motive is for the good guys to find the bad guys; it vacillates between redemption, simple curiosity, and revenge. Each of these motives work, but they seem to be interchangeable in the characters and that was distracting. I did not like the anticlimactic ending. I never like anticlimactic endings. And with this ending, coming as it did some 100 pages after it should have and in a most unrealistic manner, I found that even though nothing was resolved, I didn't care. I felt cheated. Could I ponder the cosmos and mystically place myself in the situation to create my own ending, my own "what comes next?" Sure, I could. But only if I'm getting paid. Marisha Pessl got paid to do it and didn't. Very disappointing. The book made up for these flaws with some excellent dialogue, great characters, and several gripping scenes that, while usually unresolved, added to the harrowing, agonizing pace at which the mystery unraveled. That's "agonizing" in a good way. 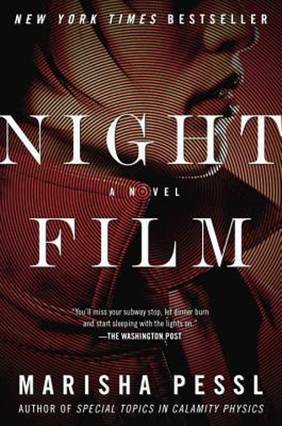 In my opinion, Night Film should have been edited to remove some extraneous chapters and some of the "so what?" background material. That would have made it a much tighter, more thrilling experience, but it was still delightful. Well worth a read, in any case. Overall, I liked the book and am looking forward to more of this author's work. To me, there is no better recommendation than that.